Practice #OhmHour...How will it benefit me? 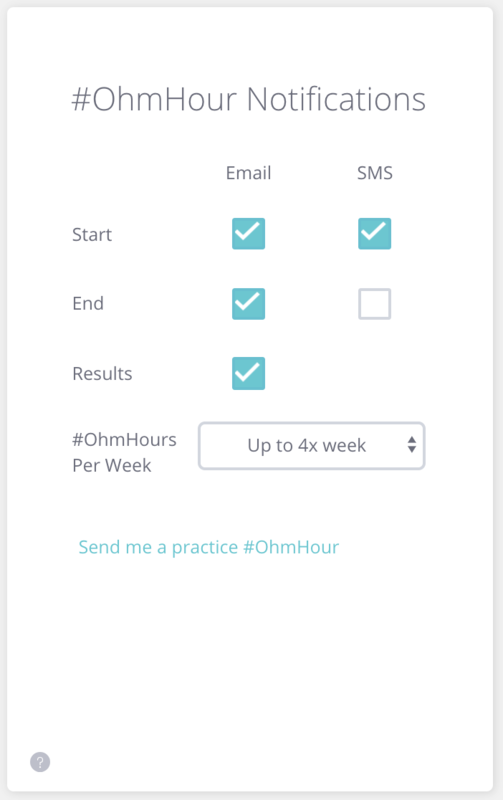 Want more practice with #OhmHours with no strings attached? Well, it's your lucky day, because we now allow you to sign up for a Practice #OhmHour. This #OhmHour won't count for points or entry to a prize drawing, so no need to worry if you use more energy than we expect you to during this hour. We also won't use the results of this practice #OhmHour to calculate your streak or status. How do I sign up for a Practice #OhmHour? Sign up for a practice #OhmHour on your settings page. Look for the "send me a practice #OhmHour" button under "#OhmHour Notifications."